Hi there! I hope you are having a great day! Today the Stamping Around the World team is doing and blog hop, and I am sharing THREE cards using the stamp set that I featured on the tutorial bundle for March, which is the So Hoppy Together!! 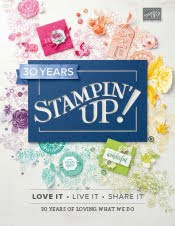 If you haven't heard the news, I have partnered with an amazing team of Stampin' Up! demonstrators around the world to bring you a Tutorial bundle that you can get for FREE (yes you heard it right! FREE) when you place a $50 order with me!! Believe me these ladies do fantastic job on the tutorials!! I am absolutely sure that you will enjoy getting these tutorials month after month!! if you want to learn more about this tutorial bundle you can read more about this ordering incentive here. Here is a sneak peek of the projects included on the March Tutorial! For these cards I used the Tropical Escape designer series paper (DSP), and I actually used this pack for color inspiration. I can tell you that this is one of my favorite tips when it comes to designing cards! Using the color combinations from the sheets on the designer series paper! 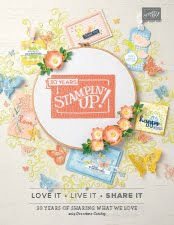 Believe me, use this tip and you will see how the rest is so easy with Stampin' Up! products as everything color coordinate, so the design process goes really smooth! Usually I start with the color combination, then I will take the same colors for the cardstock, so in this case, I pulled out the shaded spruce, blushing bride, and Granny Apple Green and Whisper White as a neutral color. Since this sheet in particular had more of the Granny Apple Green I decided to use that one as my card base, but I could have used any of the other colors on this sheet. I did die cut some elements with the other colors as you can see, to pop up the colors on the DSP, so you can see a little flower on Blushing Bride and the leave on Shaded Spruce. The little frog was stamped and die cut as well, and it was colored with the Granny Apple Green and Shaded Spruce Stampin' Blends, you can see that everything color coordinate perfectly. Because I am coloring with alcohol markers it is important to note that you need to stamp your image with memento ink pad as this is a die base ink pad so this work perfectly when coloring with alcohol markers, PLEASE DO NOT use Stazon as this is alcohol based ink pad, so when you color using Stampin' Blends it will pick up the black of the stamped images and it will mud your coloring! Note that I did add some cheeks with the light color of the Flirty Flamingo. I really think that this makes the critters look even cuter, Don't you agree?? and finally I went ahead and added googling eyes!! Is this not the cutest frog???!!! Below is a close up of this card. BTW did you see that I added Wink of Stella to the flower and some spots of the frog? this little trick highlight some areas of your card! This is another quick tip to add a little something-something!! this doesn't add any bulkiness to the card and it makes it look shinning and stunning!!! give it a try and you will fall in love with the results! Let me tell you this dandy super cool tool makes wonders on your card!!! Here is the second card with this stamp set! this is as well very simple to make and as mentioned before I went with the color combination from the sheets on this DSP, in this case I focused on the clean look from the whisper white DSP with basic black lines and I used the Shaded Spruce and Granny Apple Green to add color to this card. For this card as you can see I did a technique with the little frog!!! I colored with Shaded Spruce, but then I went back with the color lifter and added spots with this marker!! and this cool super easy technique gave this frog some texture! Below is the close up picture of this card! Did you notice those glitter enamel dots?? they color coordinate perfectly as well as these are in Granny Apple Green! 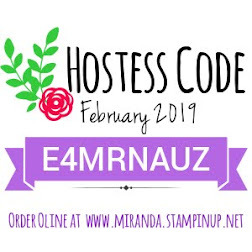 I cannot get tired to repeat that I love how everything color coordinate perfectly and this is one of the most important features that you would love from Stampin' Up! products!! It really makes it super easy to design cards or any paper craft project for that matter. Just pick the colors and bring out the embellishments in the same colors and you will see that this will also help with the flow of ideas on how to make a card. Finally this is the third card using the Hoppy Together stamp set! same as the previous two cards, I used the Tropical Escape DSP as inspiration for the color combos! so again, see how easy it is to come up with cards using this method of using the color combinations from the paper packs. For this card I used the Shaded Spruce as the card base and I enhanced this card using the Blushing Bride for the banners and then the Granny Apple Green for the scallop circle under the whisper white die cut circle. The little frog was colored exactly as the one in the first card, however I did not use goggling eyes as it would cover the lenses, but I added Wink of Stella to the glasses! Below a close up of this card. Watch the video tutorial below, where I go over measurements, tips and tricks on how to make these cards. You will see that these cards are so easy to duplicate!! Please don't forget to stop by the other blogs from the amazing team, I am sure these blogs will inspire you so much that you would want to go running to your craft room and start playing with your stamps! 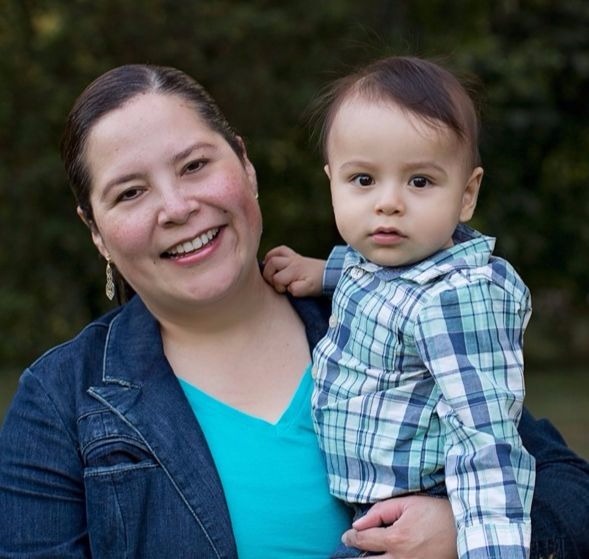 Below is the full line up (YOU are at Alejandra Gomez - Creating with Allie) as well as the buttons for the next and previous blogs if you want to go that route. Your frog cards are fantastic! Great blending and use of the Tropical DSP. I love your frogs. your blending is so cool. and yes, I noticed the rosy cheeks and it looks great! Awesome idea. Super cute little frogs, those googly eyes are a great addition! Great cards Allie. Those googly eyes certainly had a fun aspect to them. Thanks for sharing them.